Here's the cabled border of the sweater. I have two more pattern repeats to do before it's finished. 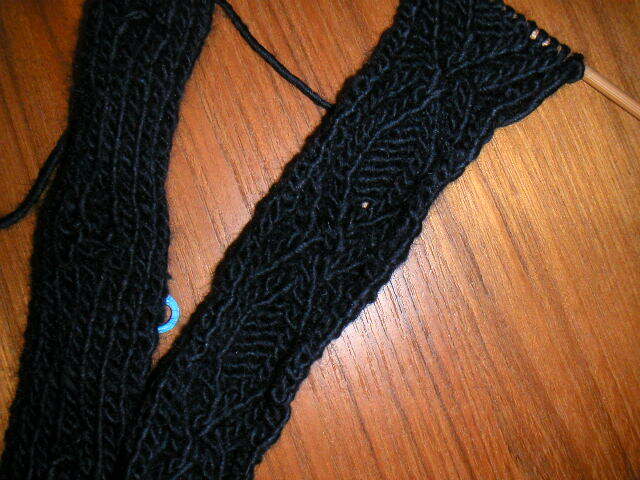 Then I will pick up stitches on one of the long sides to knit on the body.